Amaya Gaming has announced that it will move its Full Tilt brand onto the PokerStars platform to “improve one market-leading platform rather than two”. Rumours that Full Tilt was merging with PokerStars started earlier this week when several threads were opened on the 2+2 forum and then closed due to the lack of a credible source. Eventually details of what was happening were released on the Full Tilt web site and then confirmed in a press release by PokerStars. Rather than “merging” with PokerStars, it appears that the two sites will run on the same platform and share liquidity. According to Rafi Ashkenazi – the Chief Executive Officer of the Rational Group – players will benefit from a larger pool of players offering greater game choice [and] bigger prize pools . However, reading between the lines, the move could spell the end for Full Tilt. According to the Full Tilt website, a software update on 1st April will move the Full Tilt brand onto the PokerStars platform. Full Tilt players´ accounts will be updated to Stars accounts – a single account that will be applied to all Full Tilt, PokerStars, BetStars, StarsDraft and Duel players. Funds from players´ Full Tilt account will be carried over into the Stars account and added to any funds from an existing PokerStars account. Any ring game tickets, casino chips and partly-cleared bonuses will be given a dollar value and converted into cash. 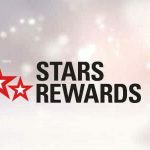 Full Tilt Coins and Full Tilt Points will be converted to StarCoins, and players will join the PokerStars VIP program at a level equivalent with their thirty-day rolling Full Tilt Points average – unless their PokerStars VIP status is higher, in which case the PokerStars VIP status will be applied. Although still operating in profit, the motive behind Amaya´s decision to move Full Tilt onto the PokerStars platform is cost-related. The company has significant operations in Dublin and the Isle of Man effectively working on similar projects, and – according to PokerStars´ press release – the combining of resources will accelerate technological innovation . 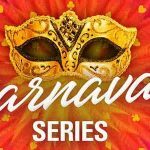 The combining of resources will also mean significant job losses in Full Tilt´s Dublin office – an indicator that Amaya are running down Full Tilt rather than trying to restore it to its former glory. Industry observers estimate that 70% of Full Tilt players already have PokerStars accounts (just 70%? ), so the increase in liquidity is likely to be much smaller than that predicted by Rafi Ashkenazi. The number of players choosing to play at Full Tilt has declined drastically since Amaya purchased the brand along with PokerStars in June 2014. Changes made to Full Tilt´s VIP program to turn the poker industry on its head failed miserably, and the once-mighty site now ranks outside of the top ten in the world for cash game traffic according to the online poker traffic-monitoring site PokerScout. So, Is This the End for Full Tilt? This platform migration will allow Amaya’s development and technology teams to focus on improving one market-leading platform rather than two, leading to a better gaming experience for all; improvements and features will be delivered faster and more efficiently rather than doubling development requirements. 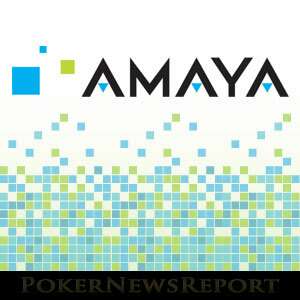 Speculation exists that arguably the best online poker software in the world (although barely market-leading ) will be sold off to reduce some of Amaya´s massive debts and that Full Tilt´s move to the PokerStars platform is a temporary measure to cross-sell Full Tilt players onto Amaya´s more lucrative sports-betting and casino products. 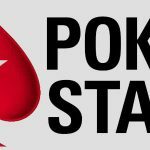 Only time will tell whether this speculation is justified, but it is hard to find many positives in the combining of Full Tilt and PokerStars on a single platform.